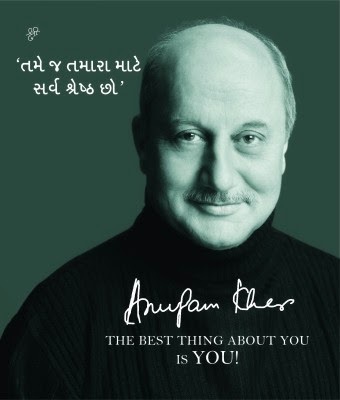 The Best Thing About You Is You ! 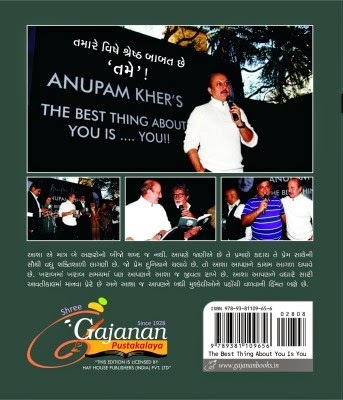 Bollywood superstar Anupam Kher plays a new role altogether: Using examples from his own life and experiences, he subtly motivates and inspires you by providing a handy guide to discovering your real self and finding peace of mind and contentment in today?s chaotic times! He feels that the best way to counter the negativity that exists in the world these days, where people are gripped by fear, insecurity, stress, frustration and unhappiness is by acquiring a positive outlook. Citing his own example, he reveals how a humble background need not be an obstacle to attaining the dizzying heights of success, but simultaneously, sounds a warning about the importance of gracefully handling such success. He shares the vital ingredients in his recipe for success as well as no-nonsense methods to get the most out of your life. Here?s a book you will find yourself turning to for soothing, insightful guidance and practical advice no matter what situation you?re in. You?ll come to realize that the best thing about you is YOU!